LOS ANGELES -- This year's summer solstice on Monday brings a special event, as it coincides with the full strawberry moon for the first time in nearly 70 years. The summer solstice is the day with the most amount of sunshine as the sun will reach the highest point throughout the course of the year. 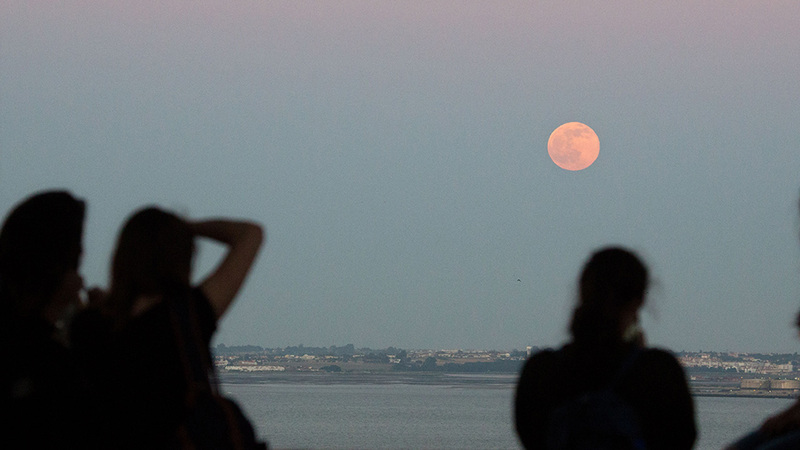 Despite its name, the strawberry moon will glow more of a warm amber color than pink or red. The Old Farmer's Almanac's Bob Berman explained, "The sun gets super high so this moon must be super-low. Even at its loftiest at 1 a.m., it's downright wimpy-low. This forces its light through thicker air, which also tends to be humid this time of year, and the combination typically makes it amber colored." The phenomenon has several different names throughout the world, but the most common include the strawberry moon, rose moon and honey moon. The strawberry moon received its name from Native American Algonquin tribes, which knew it as the signal to collect ripe fruit, according to the Old Farmer's Almanac. The last time a full moon landed on the summer solstice was in 1948, the Old Farmer's Almanac reported. You can watch the strawberry moon courtesy of the Old Farmer's Almanac and Slooh.